Australian mining is booming and it’s great to to be able to play a part in the success of our mining customers. And, of course we are always kept busy repairing all those plastic odds and sods that get a hiding underground. If you have an idea you think we may be able to make – just ask. 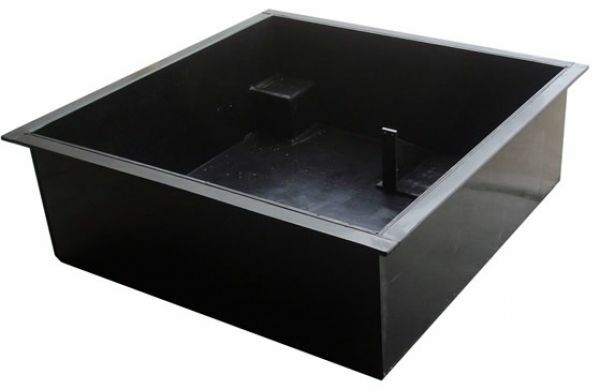 The bund pictured is made from high density polyethylene and measures 1100mm x 1100mm x 400mm high. You can see a 150mm x 150mm recess in the front that will accommodate a tap for drainage without the possibility of it being accidentally hit. 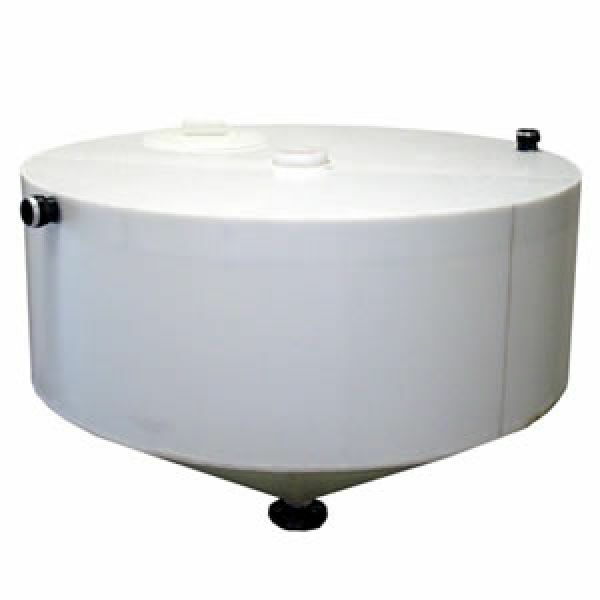 We made this dosing tank for a customer that provides water treatment equipment. This photo shows the bund as we manufactured it and the next photo shows the tank complete with all the dosing equipment as installed by our customer. 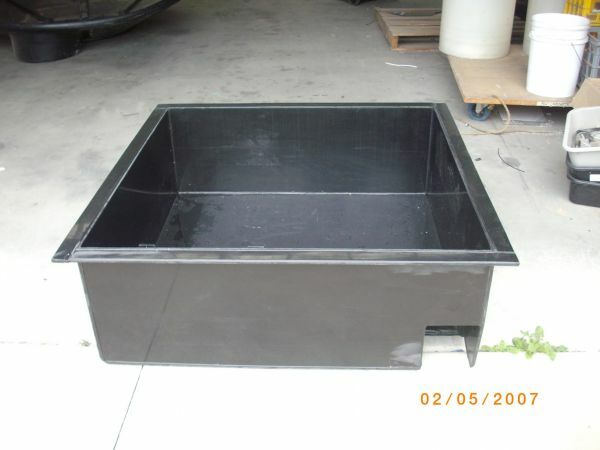 Another water treatment mixing tank we made from food grade polyethylene. The diameter was around 1200mm and height overall about 2000mm. 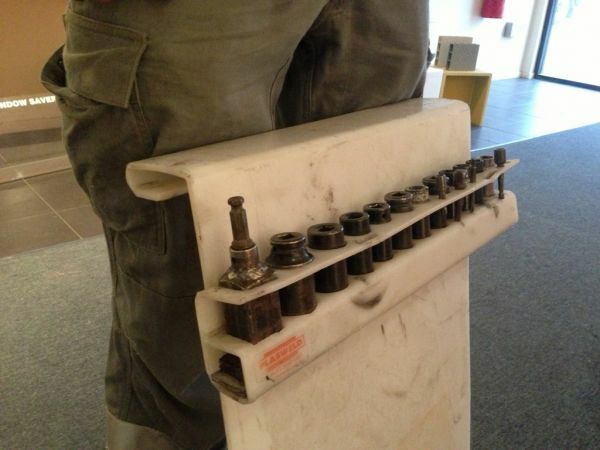 It was designed so a mechanical agitator could be attached to the flange on the top. 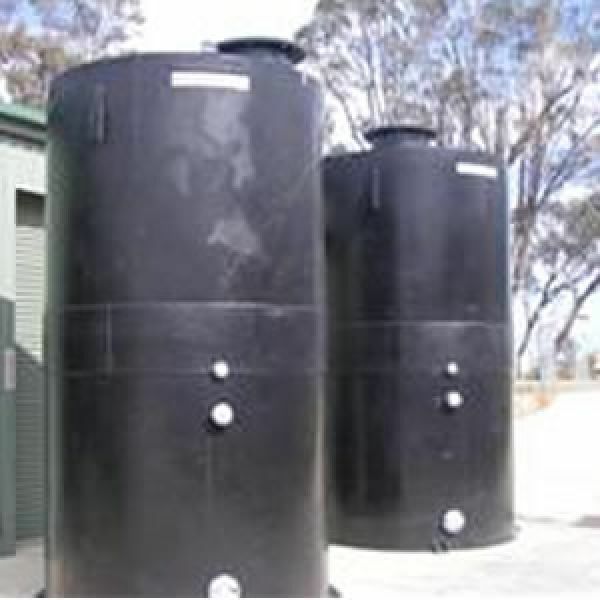 The two large tanks were made to hold potable water for Mt Isa Mines. They are around 4.3 metres tall with a diametre of 2 metres. 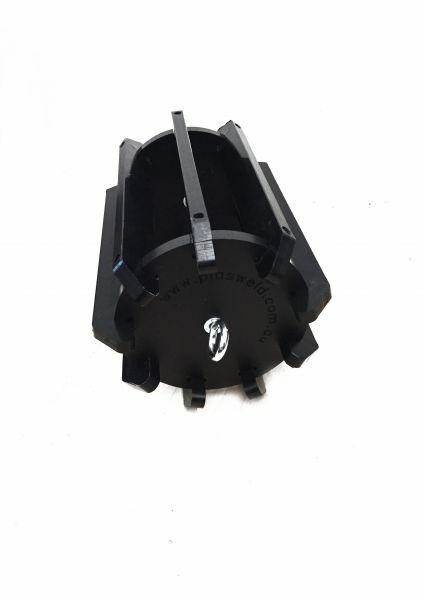 Hand formed from 15mm thick black HDPE sheet. 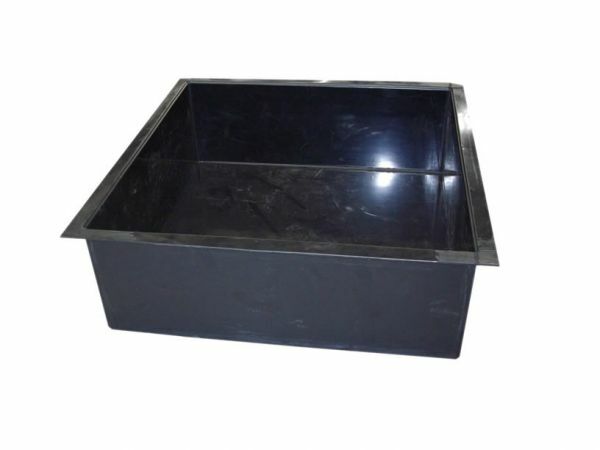 Another bund for for water treatment. This one has a shelf for mounting pumps and it designed to be moved around by forklift. Bund with recess for tap. We make heaps of safety guards. Usually they are made from clear Lexan polycarbonate however every now and then we need to make them from hi-viz yellow PE. 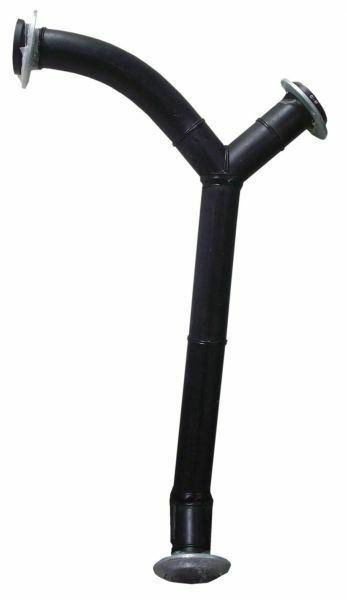 We can make up poly fittings to most configurations. 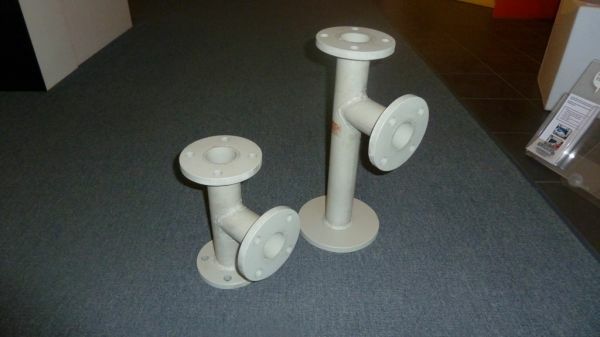 This Y piece is made from 110mm PE 100 and has Table D flanges and gal backing rings. It was used in a gold mine. 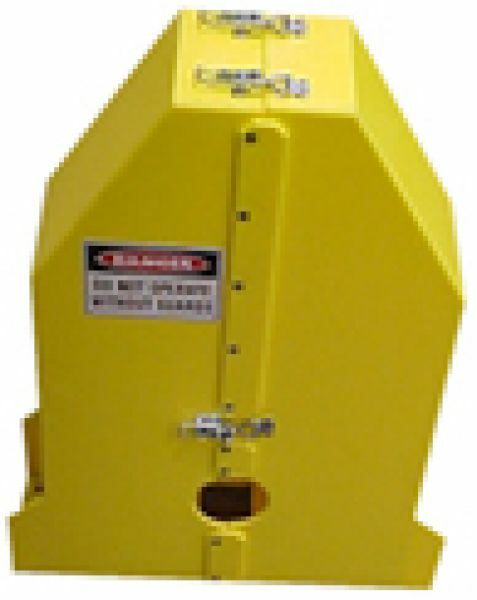 Acid resistant polypropylene fume hood used in gold reclamation. 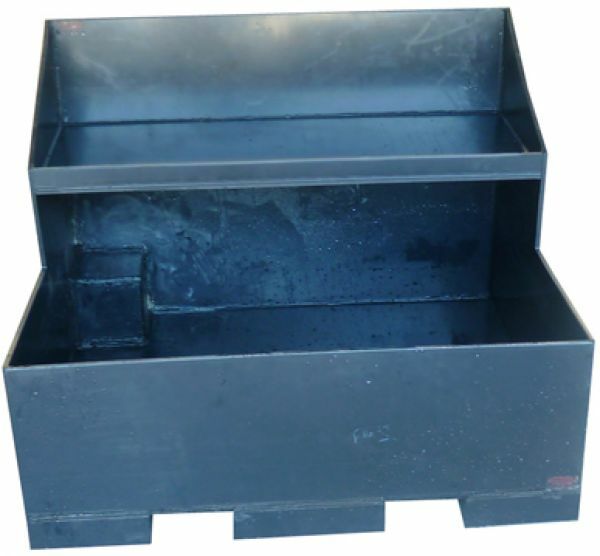 We can provide Ultra High Molecular Weight Polyethylene (UHMWPE) for use as wear protectors in hoppers, tip trucks, chutes, bull dozer buckets and more. 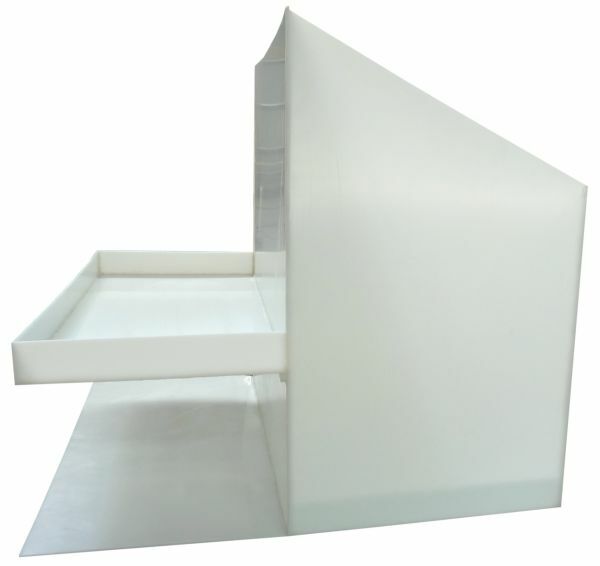 UHMWPE often referred to as "umpy" is the bees knees when it comes to wear strip material. 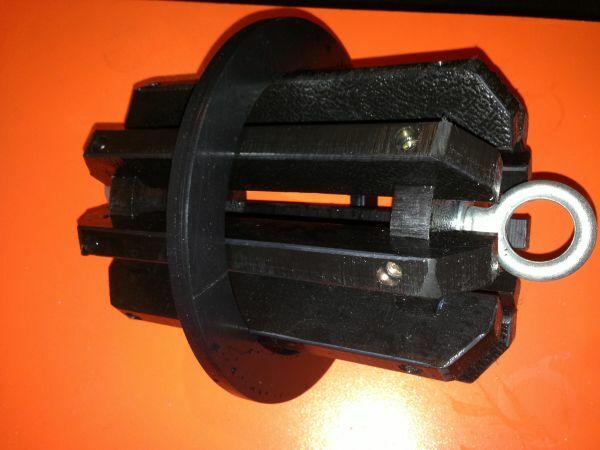 This is a working prototype which we made on behalf of a big mining company. Apparently they needed a way to reclaim unexploded charges! The unit attaches to a pole ( a very long one we are guessing) and can be operated remotely with a spring loaded cord. Here's an interesting idea. 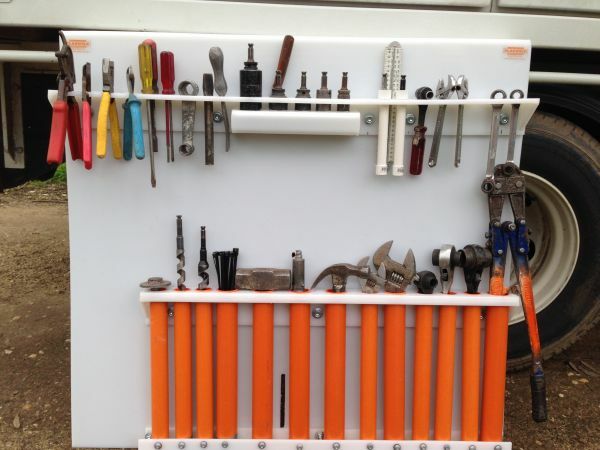 Instead of the usual poly tarp tool holders used by maintenance crews we made a sturdy poly socket holder. As you can see the customer has given this one a fair hiding. These fittings used in gold processing. 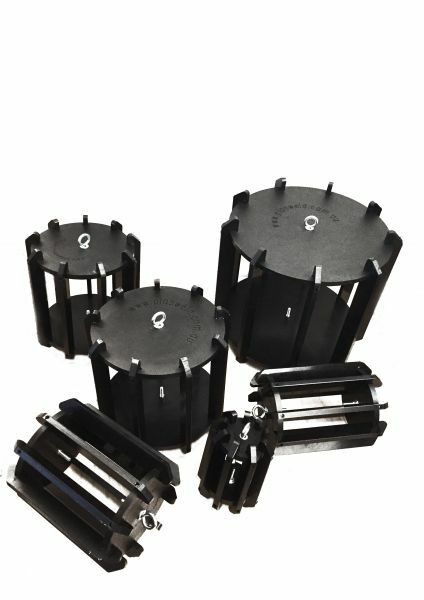 They are fabricated from acid resistant polypropylene and can handle the operating temperature of 105 degrees Celsius. 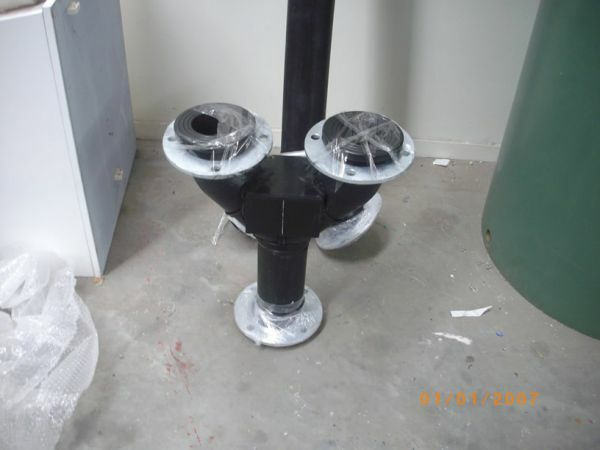 According to the mine's owners these plastic fittings have outlasted the metal fittings they were using by a factor of five. 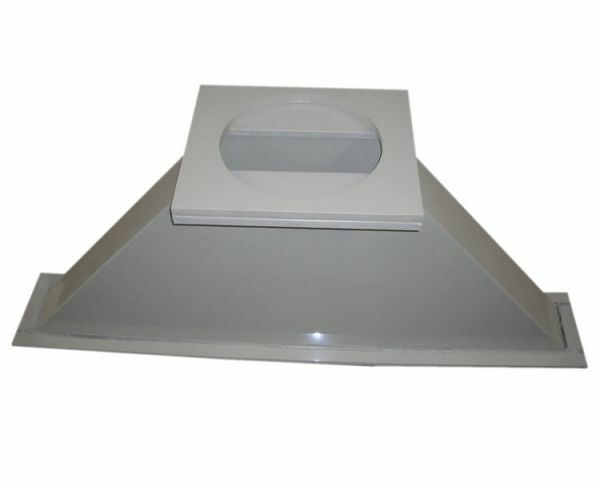 We make deflection gauges from robust poly to any size required. Just tell us your requirements and we will price accordingly. 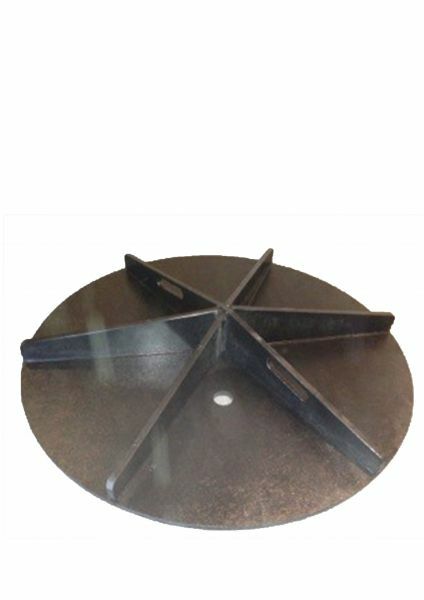 Our Deflection Gauges can be suppled with or without poly proving rings and have the appropriate size engraved. Machined to precise tolerances our Deflection Gauges and Proving Rings far exceed the quality of imported aluminium models. 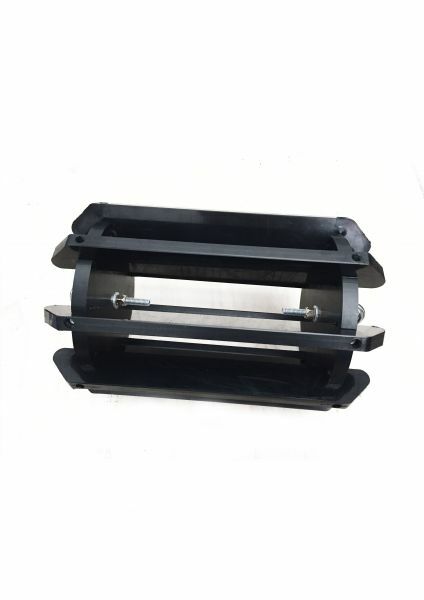 We custom make vacuum sealing lids to order. Made from 15mm poly they are almost indestructible. 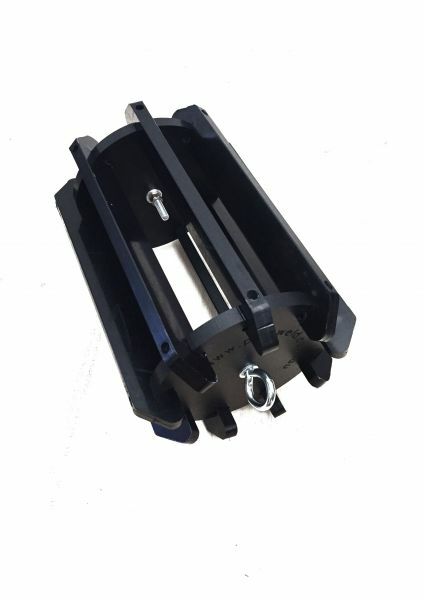 the one pictured is 960mm in diameter and can be fitted with a cam lock. Deflection Gauge 139mm with proving ring in place. Replace your canvas tool pouch with our unique poly tool apron. 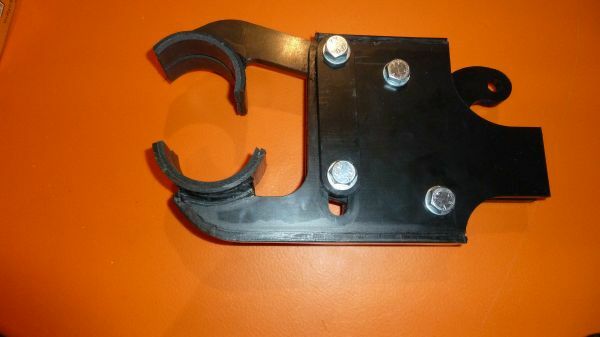 Designed for EPV's they are modular, robust and much safer than their canvas counterpart.